What Is Scalp Micropigmentation and Why Should You Consider It? What piece of advice would you give to a guy who’s concerned about hair loss? First of all, hair transplants are often ridiculously expensive, and you pay more for what you get, not to mention that sometimes the final outcome is not as good as imagined. Secondly, there’s always the option of wearing a wig, but most men don’t feel comfortable wearing wigs in public solely because of the possibility of displacement, and they also need to be continuously maintained in order to look natural. 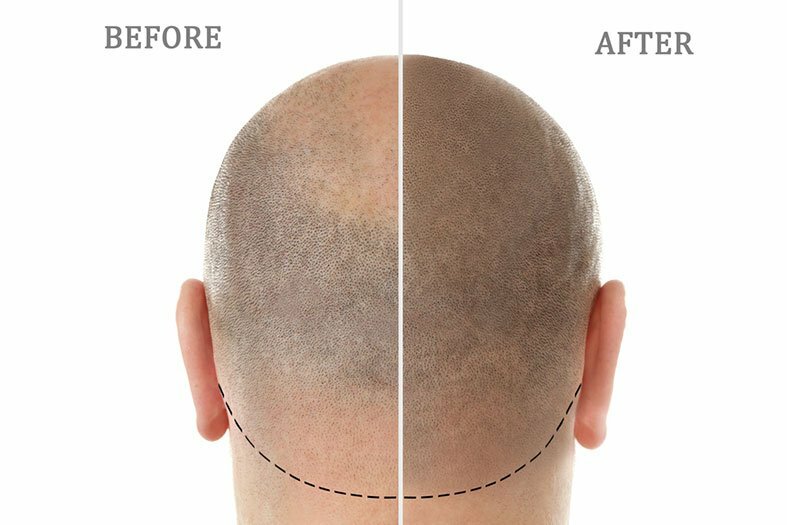 Luckily for all men who have a problem with hair loss, scalp micropigmentation is a thing that’s becoming more and more popular. 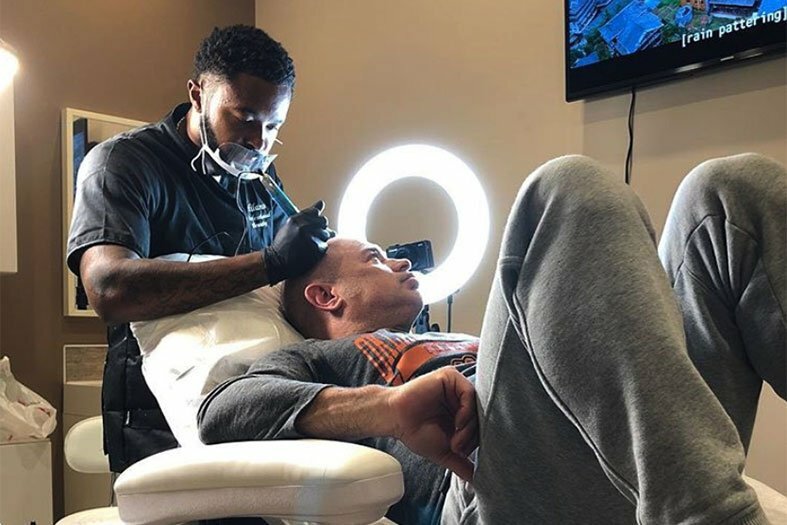 But what exactly is scalp micropigmentation, how do you get proper training, and finally, should you enlist it in the services that you offer? What is Scalp Micropigmentation and How Does It Work? Scalp Micropigmentation, often abbreviated to SMP, is a completely new cosmetic scalp pigmentation process. It involves the use of highly specialized and techniques to inject pigment into the scalp. The final outcome depends on two things – the actual equipment and a good artist. This is why choosing anyone who’s completed the PhiScalp micropigmentation training online is a good idea, as the whole training is extremely detailed. The expert firstly talks to the customers and they together come to a decision about the result that they want to achieve. During the first two treatments (sometimes the artist might demand three treatments but this is different from patient to patient), small incisions are made into the skin of the scalp, thus creating an illusion that the scalp is actually full with hair. In order to make this more natural, the artist uses pigment darker than the hair color of the patient in order to create a shadowing effect that will make the final result much more realistic. The scalp of the patient might be a bit red after the first treatment, but everything will go back to normal after just one day. How Can You Use Micropigmentation? Soft hairline – This option is the best possible option for any guy who wants to lower his current hairline, and we all know how fast this can be receding over time. This gives the appearance of fuller hair and a clean hairline, which is basically the customer’s only wish. A good artist, such as anyone from Art of Beauty Academy, will follow the natural hairline of the customer thus providing him with a completely realistic outcome. Adding density to hair – A customer doesn’t have to have extremely short hair in order to undergo this procedure, as there are plenty of examples of men who have somewhat longer hair but still need a bit more density. Many people found hair pigmentation a perfect solution to cover or fill in thinning or missing hair. Using the state-of-the art equipment and creating a three-dimensional approach, a good artist will insert pigment in the hairless spots of the scalp and by doing this, they will make the hair of the patient look denser but also extremely natural. Edge Up – Also known as the ’’Jamie Foxx’’, the edge up is an extremely popular option. The main priority of this choice is the hairline that’s extremely delicate – very precise and it covers a part of the temples as well. This is why the customer should always choose the best artist, as they don’t want a mistake here. 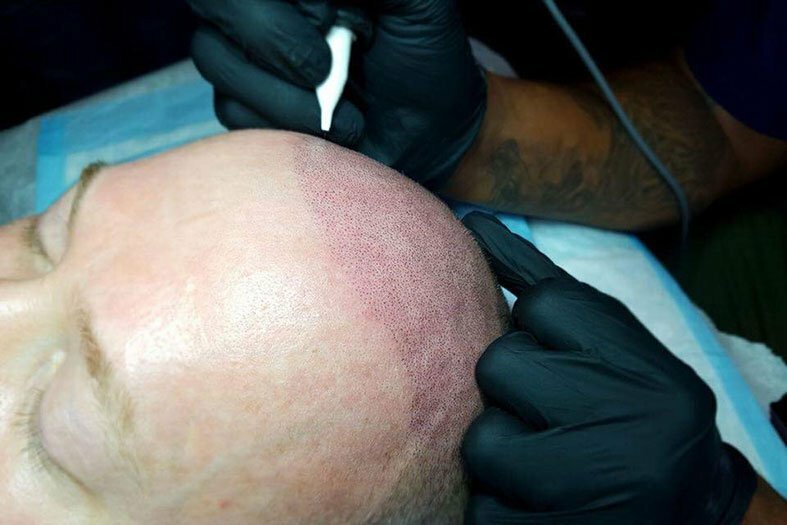 How Can You Get Training in PhiScalp Micropigmentation? Completing a PhiScalp training online is getting popular lately, since it has its benefits, as this is excellent for all the artists who are too busy or unable to attend the live trainings. Done from the comfort of your own home or salon, this option lasts for 6 months, during which you will get to experience the whole process in the best possible way. Namely, after signing up you will receive access to the Craft Master App where you will discover the theoretical and practical approaches that are needed for this procedure. Not only will you be receiving a plethora of audio and video files and instructions, but you will also receive a free premium scalp micropigmentation kit which you will use to master your skills. Even though this might seem that you won’t be working with live models, don’t worry, as you will get a change to put the knowledge into practice. The PhiScalp micropigmentation online training will teach you how to microblade the scalp, but it will also provide you with useful information that you need to know beforehand, such as everything about hair loss types and causes, and common hair-loss solutions. Every good artist needs to know how the problem started in order to successfully deal with it, and this online training is excellent in this department. Should You Offer this Service? If you’re already a great eyebrow micropigmentation artist, then it would be an excellent idea to expand your business and add a very popular hair micropigmentation option for guys as well. First of all, this is a procedure that’s only becoming popular at this moment, so the sooner you start, the better. Moreover, it’s always good to offer services that both sexes can benefit from. Since the PhiScalp online micropigmentation training can be successfully completed from the comfort of your own home, there’s nothing to lose except the price of the training. 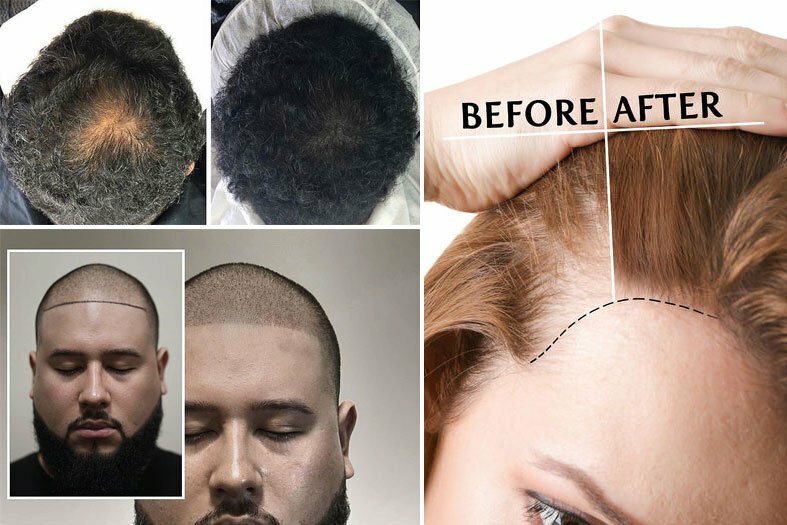 Bearing in mind that a single scalp micropigmentation session costs around approximately $3000 and that a single session lasts for around 6 hours, it means that the artist will make around $500 per hour, which is an excellent price. If you take into account that you will be treating 8-20 customers per month, this brings you to a total of more than $30000 in montly revenue. Based on everything we said, hairmicropigmentation is definitely something you might want to consider – it’s a great service to offer, it’s becoming more and more popular as time goes by, and it can help you earn a lot more than you’re earning at the moment. Finally, it’s a great option to expand your business and attract male customers as well. Microblading Salary: How Much Can I Earn From Microblading in US? How to Choose the Best Micropigmentation Training Course for You? What are Nano Brows? How are They Different From Microblading? What is a Lash Lift and is it Better Than Lash Extensions?